I hesitated to read another Brandon Sanderson book after finishing the Mistborn trilogy. Here’s why I’m reluctant to read more by an author I enjoyed: not every book is going to be great writing. Somewhere along they way, there’s going to be something mediocre. (It can happen because the editors gave the author too much leeway, like with Harry Potter and the Order of the Phoenix, or because the author wasn’t as experienced in his or her early days, or because sometimes mediocre books just get published.) I dearly love A Wrinkle in Time, and a lot of Madeleine L’Engle’s other work, but I read Many Waters last year and it was – you guessed it – mediocre. For that reason, I haven’t read any of Lloyd Alexander’s non-Prydain books. And I wasn’t convinced that I wanted to read any more Brandon Sanderson books, considering how much I liked Mistborn. I didn’t want to ruin my idea of him as a great author. Fortunately, Elantris didn’t ruin it. Reluctant as I was, I loved the book. If you don’t want to spend time on a 1500+ page trilogy, Elantris is a wonderful stand-alone book with likable, believable characters, a really good magic system, and a great plot structure. 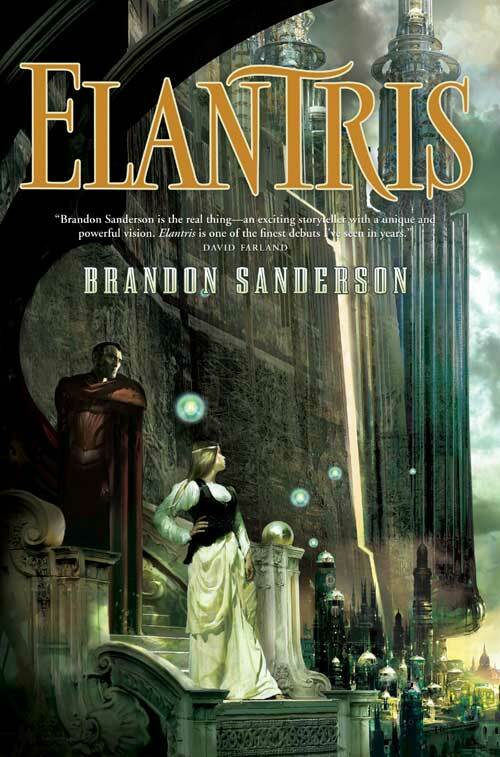 So if you aren’t ready for the Mistborn trilogy, try Elantris! I don’t think you’ll regret it. I didn’t.